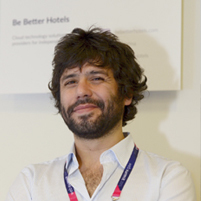 CMOs & CO- Founder of Be Better Hotels. I believe in 1985 Travel Young World, a company aimed at young people wishing to know the world. Coach tours by 4 continents. Our coaches leaving from Spain to Baghdad or Moscow, or joined by road Kathmandu with Lhasa. Bachelor of Information Sciences and Master in Business Administration and has 15 years of experience in media, information design and development of digital businesses. He led the launch and growth until it was acquired by the Biblos Group 2011. He is currently Director of Product of the group and is responsible for e-commerce strategy of the company. 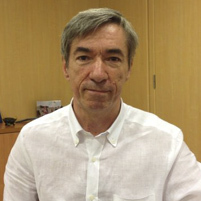 Before founding Avantrip, Thomas directed other company e-commerce and Internet in Argentina. One of the mentors of Marktur Forum. Begun in rural tourism marketing today has worked with the entire value chain of the tourism industry: hospitality, service on arrival, airports, duty free shops. He is a consultant in strategy and advisor to corporations, government entities and high-potential Startups. Founder of ThinkLean Education, training company based in Lean methodologies. . Member of the Advisory Board of the Adventure Travel Trade Association. Founder, first president and current vice president of the Argentina Association of Ecotourism and Adventure Tourism. Singularity University currently ambassador to Argentina. He is a teacher, mentor entrepreneurs and founder of technology companies, including Virtualmind Software, a software development company, which leads 10 years ago stands out. It is dedicated to building high performance teams and create organizational cultures with a high level of impeccability in fulfilling his promises. He is also Executive Director of FACVE, which is the forum that brings together the leading travel agencies in Argentina (+ of 50% air market). He was the General Manager of Byblos during 6 years, leading an important process of transformation and restructuring, which included the launch of Avantrip.com. He has taught classes and seminars in other national and international universities: National University of Lanus, National University of San Martin, National University of La Plata (Argentina) and Catholic University of Uruguay, where he also serves as Academic Advisor. He has extensive experience in research and technical advice. He has publications in tourism. President and partner of Price Navigator SA, marketer of the multi-seller and multi-product reservation platform, Price Surfer. Co-founder of Mobeac Argentina, company of proximity marketing solutions using iBeacons technology. Relevance He is founder of a digital agency. Relevance began in 2011 in Buenos Aires specialized in Marketing Performance.